How is an international border drawn and who does the drawing? The United States-Canadian border in the Pacific Northwest is clearly marked and border agents at defined crossing points regulate movement from one side to the other. This system is the direct result of the hard work done by the United States and British Boundary Commissions. In the late 1850s hundreds of men descended on the rural and mountainous region to do the hard work of drawing the international border—and for much of that time, especially during the winter months, they used Marcus and surrounding areas as their base camp. Both countries had their own commission, assigned to work independently of one another on the same goal of building base stations, cutting trails, and erecting monuments to identify the location of the 49th parallel. 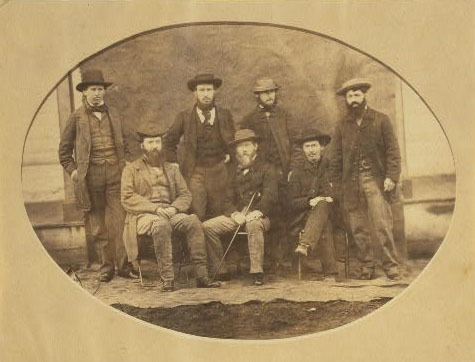 The men cleared brush, built bridges, collected specimens, surveyed topography, and packed supplies. Their teams were made up of astronomers, surveyors, naturalists, topographers, surgeons, laborers, teamsters, veterinarians, engineers, quartermasters, interpreters, and geologists. The teams worked in small groups and the work was slow. For example, it would take a month for a team of as many as eighteen men to clear just thirty-five miles of trail. 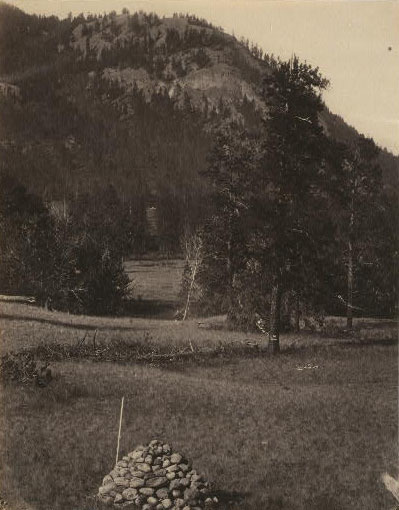 After crossing the Cascade Mountain Range, the United States Boundary Commission made a base camp at the military base Fort Colville, located near the present day city of Colville, Washington. The British Boundary Commission built their base camp in present day Marcus, Washington just north of the Hudson Bay Company’s Fort Colvile, located on Marcus flats. 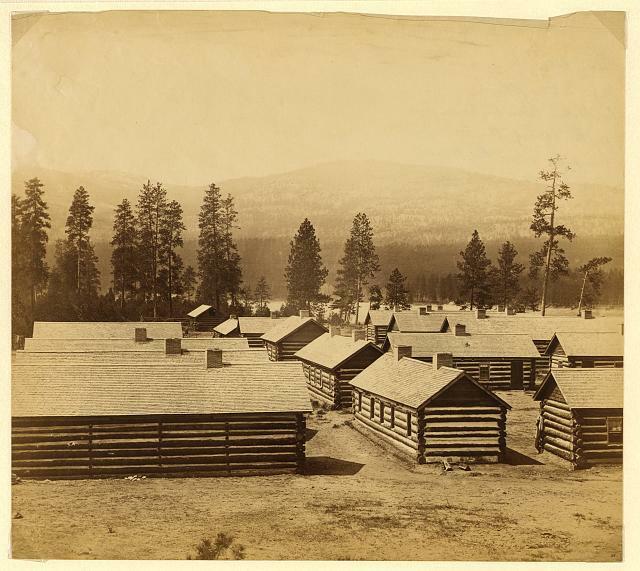 These base camps were heavily inhabited during the winter months when the boundary work was halted due to harsh weather conditions. Each spring, after the snow thawed, the crews would depart, return to where they left off the previous season, and continue drawing the line eastward. 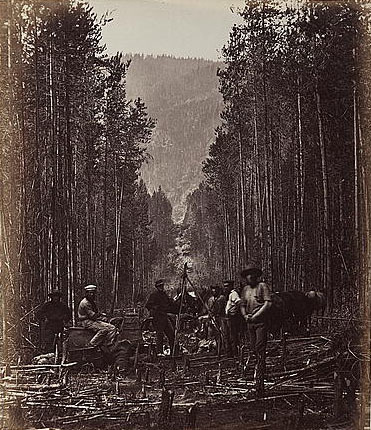 The work was completed in 1862 when the crews reached the Continental Divide. Over the 409.5 mile boundary, twenty-eight base stations had been built and 161 monuments were erected. Even though the two commissions had worked independently, their work was surprisingly consistent. Their jobs finished, most of the men departed the area for other opportunities but the international boundary will always serve as reminder of the work of the International Boundary Commission. United States Boundary Commission Officers: Officers of the Oregon Boundary Commission survey crew: Dr. Hilary Bauerman, geologist, Capt. Robert Wolseley Haig, R.A., Lt. Samuel Anderson, R.E, Capt. Charles John Darrah, R.E., David Lyall, Col. John Summerfield Hawkins, R.E., and Lt. Charles William Wilson, R.E. ~ Source: Photo courtesy of the Library of Congress. ~ Date: 1858-1859. Logan Camporeale, “The Boundary Commission,” Spokane Historical, accessed April 24, 2019, https://spokanehistorical.org/items/show/727. 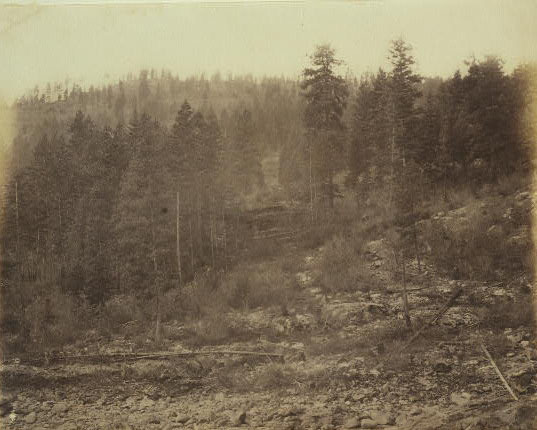 Laura McCullough, "Final Report on Historic Marcus, Washington," Lake Roosevelt National Recreation Area, National Park Service.